Building on an already successful relationship, Yamaha Motor Europe is excited to announce a comprehensive new agreement has been reached with Monster Energy that will see the hugely popular energy drink increase their commitment to all Factory and Official Yamaha Racing MXGP, MX2, EMX250 and EMX125 teams through to 2021. 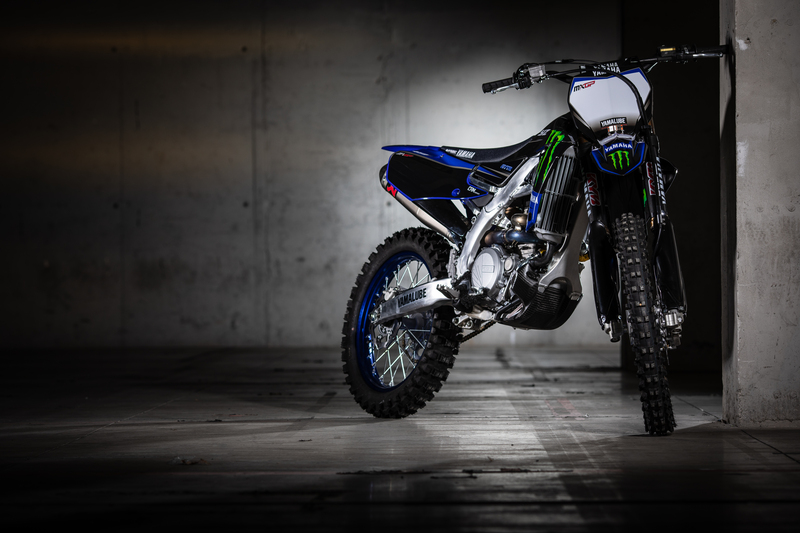 Having already collaborated with the Monster Energy Yamaha Factory MXGP Team, Kemea Yamaha Official MX2 and ASTES4-TESAR Yamaha Official EMX250 teams for the past three years, Monster Energy has strengthened its support to include the Wilvo Yamaha Official MXGP and MJC Yamaha Official EMX125 teams from 2019 onwards. The new agreement will see the American energy drink brand extend the Title Sponsorship from the Monster Energy Yamaha Factory MXGP Team to include the newly named Monster Energy Wilvo Yamaha Official MXGP and Monster Energy Kemea Yamaha Official MX2 Teams. In a major announcement ahead of the final round of the MXGP World Championship taking place at the popular Imola road-racing circuit in Italy this weekend, September 30th, Monster Energy celebrated the three-year agreement with Yamaha Motor Europe by unveiling the base livery that the Monster Energy supported Yamaha Factory and Official teams will use in 2019.